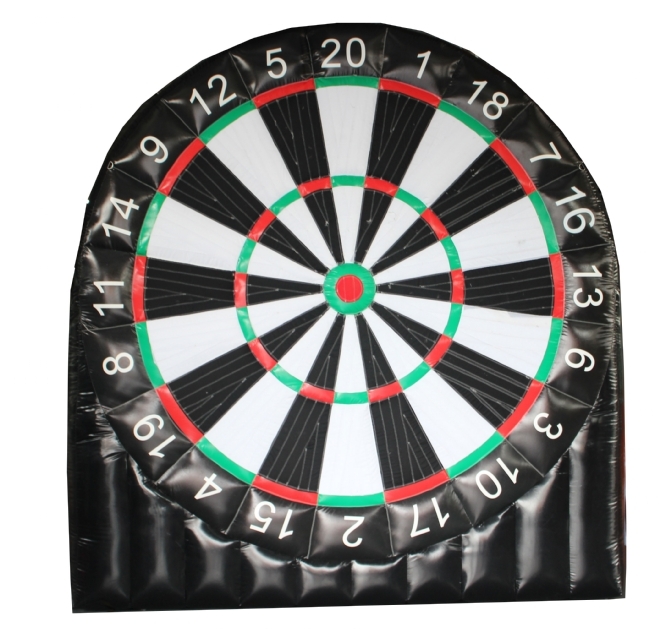 The 16' high Soccer Dart game is fun for any event. Velcro line soccer balls are kicked at the target trying to achieve the highest score when they stick. Our Soccer dart is 2-sided with a baseball target game on the reverse side. Double the fun.